Luke Johnson of The Advocate and Sam McKewon of the Omaha World-Herald shared first place in the Associated Press Sports Editors 2017 contest in breaking news in the 75,000-175,000 circulation category. Johnson’s story was about how two people associated with the LSU baseball team saved the life of a Florida fan at the College World Series. McKewon’s winning entry was about how some big names around University of Nebraska football helped lure Scott Frost tobecome the Cornhuskers’ new coach. 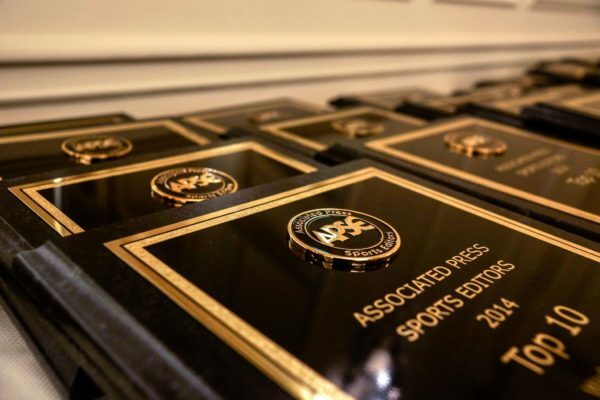 Johnson and McKewon will be presented first-place plaques at the 2018 APSE banquet. The banquet and awards dinner concludes the APSE Summer Conference June 17-20 at the Marriott Hotel Nashville/Vanderbilt University. The second- through 10th-place winners will receive frameable certificates. There was a third-place tie between Stephen J. Nesbitt and Steph Chambers of the Pittsburgh Post-Gazette and Jon Heyman of FanRag Sports. Nesbitt and Chambers wrote about how a MLB umpire saved a woman from the edge of a bridge in Pittsburgh. Heyman’s entry was about the Florida Marlins seeking investors for a project. Breaking news is an article of sports news (trades, hirings, firings, franchise shifts, etc) that occurred in the most recent news cycle.